Hollywood will remake just about anything these days, so it’s something of a surprise that nobody has thought to revive Billy Crystal and Daniel Stern’s 1991 Western comedy City Slickers. A modest hit that sprouted a sequel in 1994’s City Slickers II: The Legend Of Curly’s Gold, the movie told the story of three middle-aged urbanites who reclaim their masculinity on a two-week cattle drive. Jonah Hill will be perfect once he turns 40. Still, public demand for a Crystal/Stern reunion has not gone unheard by the folks at Funny Or Die, who have transplanted the duo’s City Slickers characters to the cold, clinical milieu of HBO’s Westworld. There, Crystal’s Borscht Belt bon mots and timely Jack Kevorkian jokes can echo sadly through the dim, empty hallways of our near future. 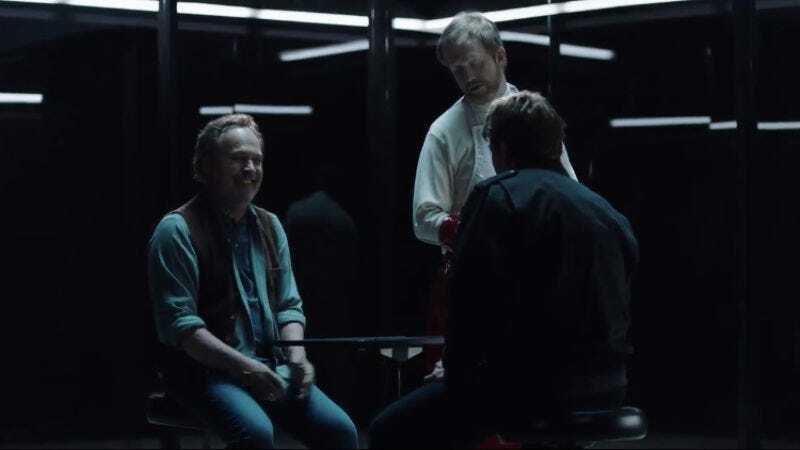 Seriously, though, the juxtaposition of Westworld’s self-seriousness provides an amusing foil to Crystal’s affected schtick, and no one can say the dude doesn’t know timing—him sharply dubbing Luke Hemsworth “the other Hemsworth brother” is genuinely funny. And Hemsworth isn’t the only Westworld alum to make an appearance: Ptolemy Slocum’s slimy scientist Sylvester is a constant presence, while Angela Sarafyan’s Clementine shows up to seduce Crystal in the final moments. Stay tuned for the outtakes, wherein Crystal does an extended bit about Ebbets Field.